By 1942, the helicopter was a reality. Several were flying successfully. There was talk of pro- -duction. There was still some interest in autogiros. Pitcairn proposed an autogiro which looked like a helicopter. The nose of the fuselage was transparent plastic. Generous sections of clear plastic were used in the doors and the roof. Space was provided for a pilot in the nose with an observer sitting directly behind him. Power was from Jacobs 300 hp mounted in the pusher position. This plant turned a Hamilton Standard constant-speed propeller 102-inch es in diameter. The tail assembly was mounted on outriggers, The horizontal assembly was non-controllable with turned-up tips. There was a rudder and a vertical fin on the centerline of the aircraft. They seemed to be cambered deeply on one side to counteract the engine torque like the vertical fin on the Mailwing. One was completed and flown extensively. 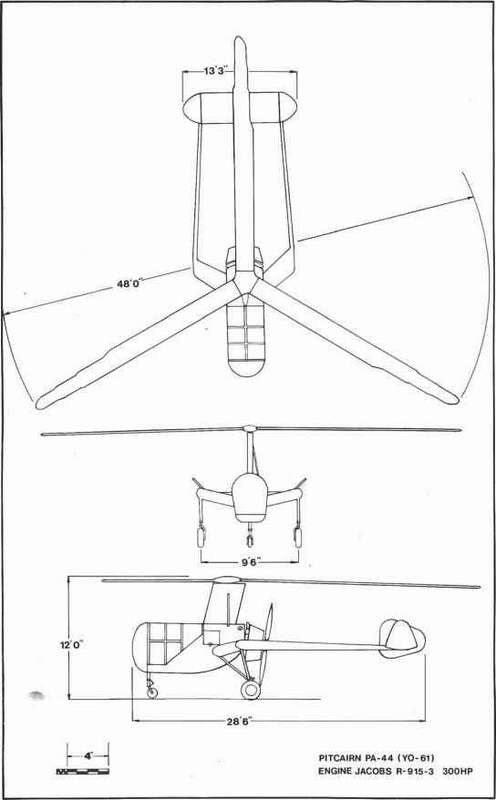 The rotor hub was similar to the PA-36 and incorporated jump takeoff. 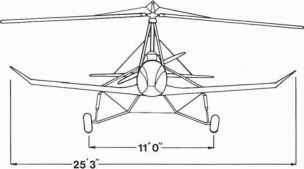 Buhl Aircraft of Marysville, Michigan became an autogiro licensee. Buhl had been a metal stamping company who went into aircraft manufacturing. 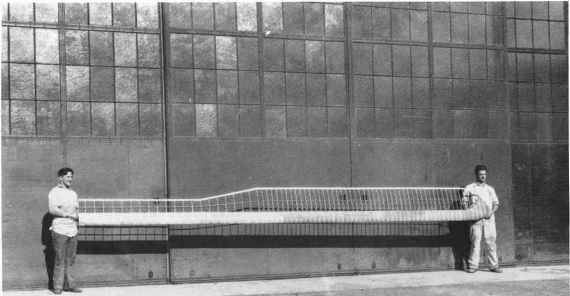 They produced several airplanes from a light one-place mid-wing wire braced monoplane with a sheet metal fuselage to a 4 to 5-place sesqi-wing bipiane. 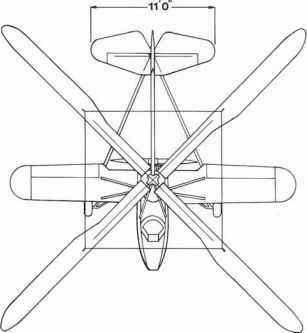 Their autogiro design was a two-place, tandem seat open cockpit pusher. The engine was a 165 hp Continental 7-cylinder radial mounted in the pusher position. The rotor hub was the hub used on the Pitcairn PAA-1, PA-18 series and the Kellett K2, K3, K4, Blades were PAA-1, PA-18 type, turning in the opposite direction. There has been some controversy concerning the diameter of the rotor, often reported as 48 feet. A letter dated July 14, 1931 from Roger Ward, production manager for Autogiro Specialties, acknowledges an order for a set of 40-foot diameter blades which would be the same as Pitcairn's PA-18. 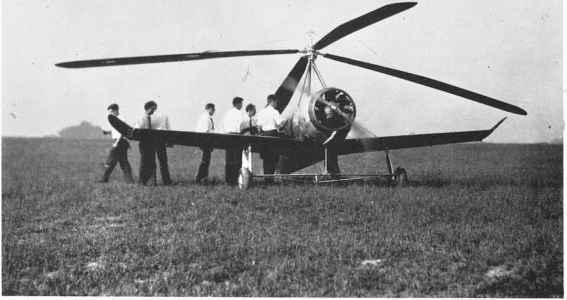 This was the first pusher autogiro and quite far down the manufacturing path it was suddenly noticed that the rotor must rotate in opposite direction to tractor configuration or the natural rolling moment (due to advancing and retreating blades) would add to the engine torque. The wings and landing gear were similar to the PA-18. It was reported to fly well, but no certification was undertaken. 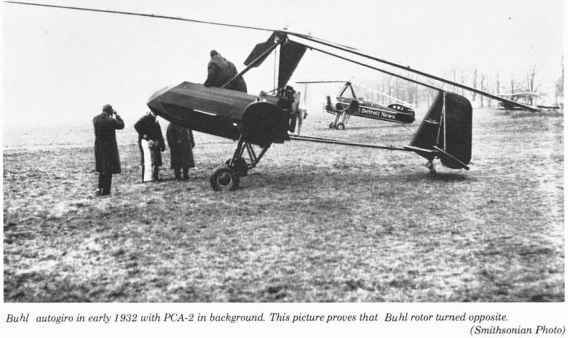 Buhl autogiro in early 1932 with PCA-2 in background. This picture proves that Buhl rotor turned opposite.